Most know the symptoms of stuttering; it’s “th-th-that” disorder of repetitions, blocks, and prolonged sounds. Stuttering is actually more of a disorder of communication, rather than of speaking, as many who stutter feel ashamed of their disfluencies and may avoid talking. The road to confident speaking for people who stutter may go through therapy, such as that provided by Illinois State’s Eckelmann-Taylor Speech and Hearing Clinic, or through support groups, such as the National Stuttering Association. People who stutter may choose to work on speech techniques to smooth their speech, or on acceptance and confidence to speak in any situation, regardless if stuttering occurs. Illinois State University students in the Department of Communication Science and Disorders help people overcome stuttering. Illinois State University students in the Department of Communication Science and Disorders help people overcome stuttering. Graduate students work under supervision to provide therapy in the clinic. 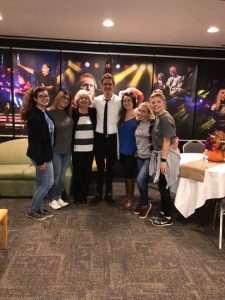 Undergraduates have organized a registered student organization (RSO), the National Stuttering Association Illinois State University Chapter, under the guidance of Jean Sawyer, an associate professor with a specialty in stuttering. The focus of the RSO is to bring awareness of stuttering to the community and to hold monthly support group meetings for people who stutter. The group has a meeting for all members once a month. The meetings are a place to showcase videos and stories of stuttering and plan events. The National Stuttering Awareness day is October 22 each year, and students in the RSO have gone on campus to hand out brochures about stuttering and talk to students about stuttering. 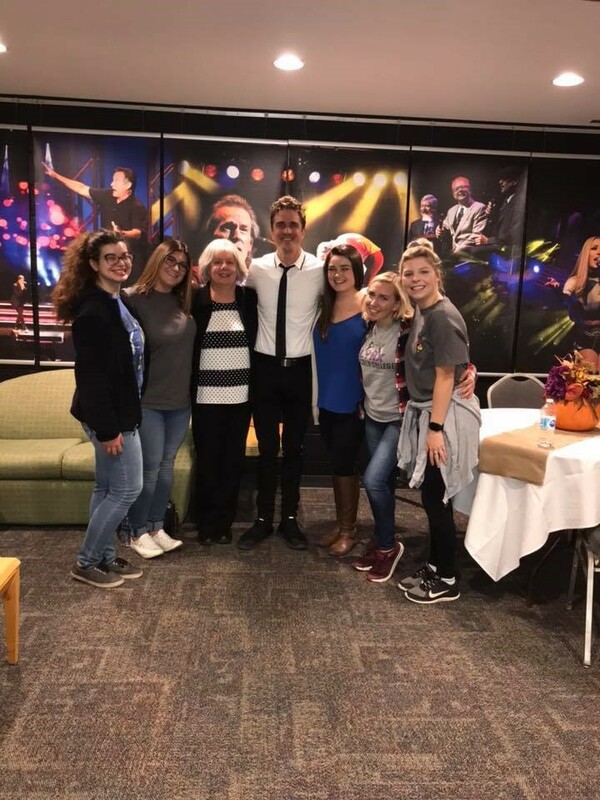 Also during the fall semester, group member Keely Theobald arranged for a backstage visit with magician Adam Trent, who is a person who stutters. Members learned that Trent’s stuttering fluctuates, but pretty much disappears while he is onstage. The group appreciated Trent’s taking time out of his busy Family Day schedule to talk to them. On the fourth Wednesday of each month, the RSO holds a support group meeting for people who stutter in 315 Fairchild Hall from 7–8:30 p.m. The group is open to people who stutter and their friends and family members, and is a place to talk openly about stuttering in an atmosphere of acceptance. A student leads the discussion, which may focus on topics such as acceptance, fearful situations, or ways to build confidence. Usually, though, the meeting is directed by the participants. The Illinois State Chapter of the National Stuttering Association is one of 179 national chapters, and the only chapter in Illinois south of the Chicago area. Anyone interested in joining the support group or RSO is welcome.